DeMarcus is a military veteran, serving in Operation Iraqi Freedom from 2003-2005. 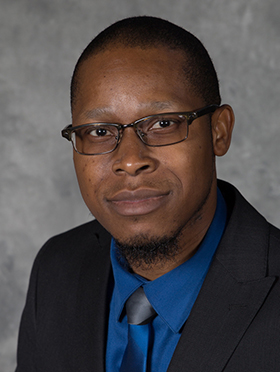 He completed his Bachelor’s Degree at SAU-Magnolia in Early Childhood Education and he received a Master’s Degree in Educational Leadership in 2011. He is currently a doctoral student at Texas A&M University-Texarkana. In 2017, Green was recognized as Magnet Schools of America’s Regional Principal of the Year and was inducted into Southern Arkansas University’s Educational Hall of Fame. DeMarcus is committed to helping meet the needs of students by helping others acquire knowledge of diverse population groups and by developing culturally informed strategies to assist diverse populations. He says, "My plan is to organize and work through a volunteer group of leaders in the field of education to identify strengths that can be capitalized upon to achieve educational goals and produce results." Readers who share Demarcus' passion are encouraged to make contact here. Comments on "Leader Profile: DeMarcus Green"